Less than one half the cost of third party coaters. Saves you time compared to waiting for third party coaters. Bronze Satin, Midnight Black and Cast. Validated in dynamometer testing on broken in GM Crate 604 engine by 3rd party. 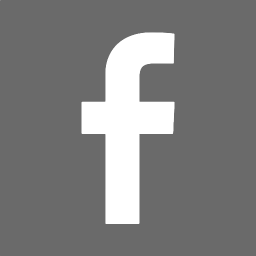 NOTE: Metal fabricated tubing/exhaust systems have varying levels of quality, porosity, welding, fabrication and other variables can influence the cosmetics, adhesion, and performance of the coating. Likewise, the design of the final fabricated parts can influence the outcome of the coating application as well. NOTE: Always re-seal the containers holding the remaining, unused ZYBAR immediately after dispensing. This not only keeps the solvents from evaporating, but better protects against airborne contaminants. 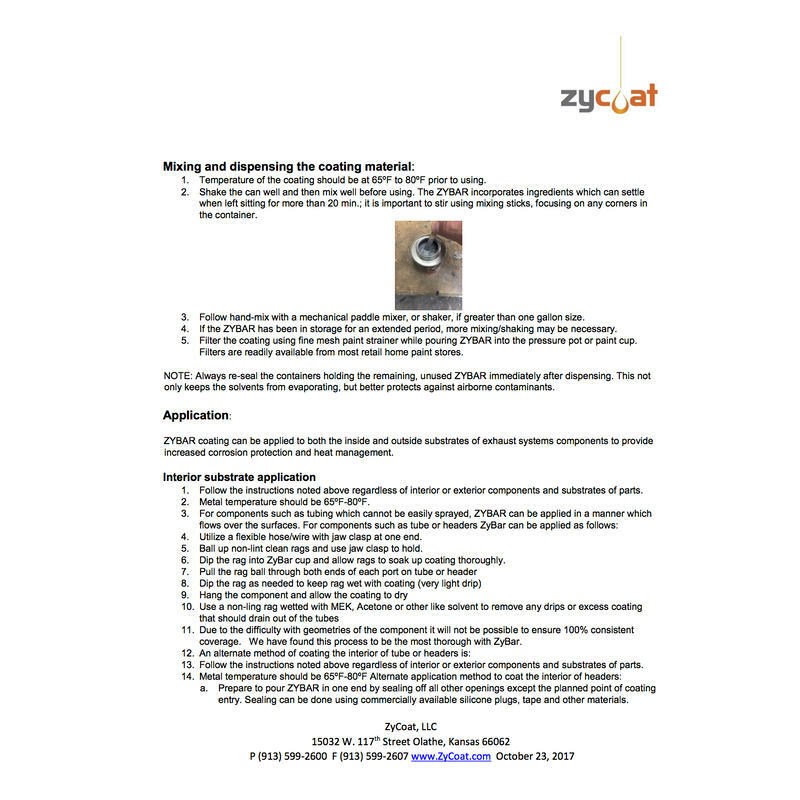 ZYBAR coating can be applied to both the inside and outside substrates of exhaust systems components to provide increased corrosion protection and heat management. NOTE: Be sure to pour out the coating used on the inside surfaces into a second container for disposal later. Cross-mixing of the "virgin" ZYBAR can cause problems. Saving the leftover material in a sealed container for future use is not recommended. NOTE: Even after the coating has fully cured, once placed in service, the higher operating temperatures will likely cause the coating to smoke for a short period of time, this is a normal part of the curing process. 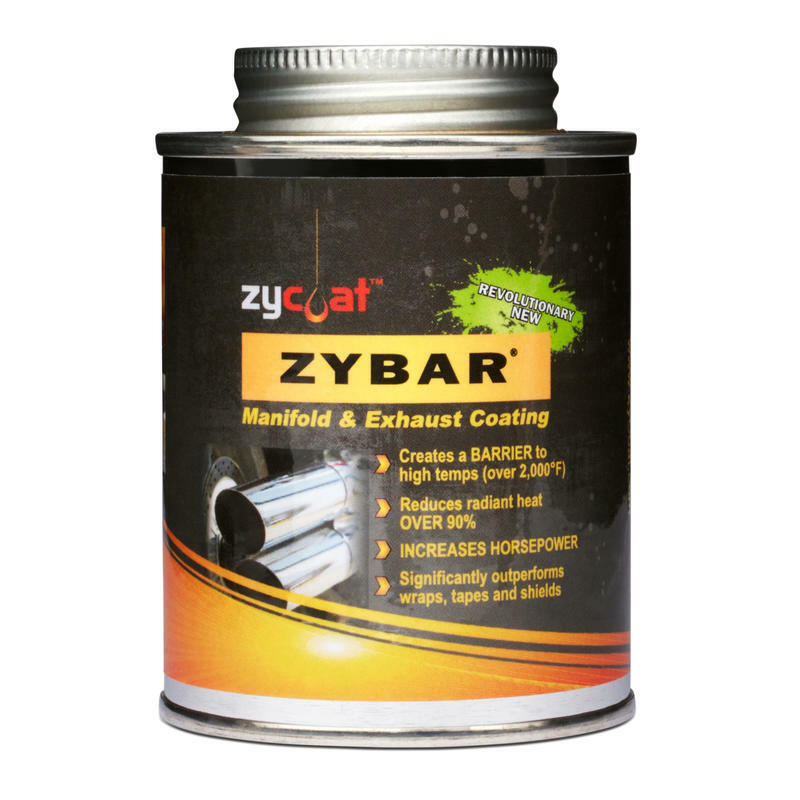 ZyBar is a high temperature, highly effective thermal coating for headers, manifolds, exhausts and turbos. 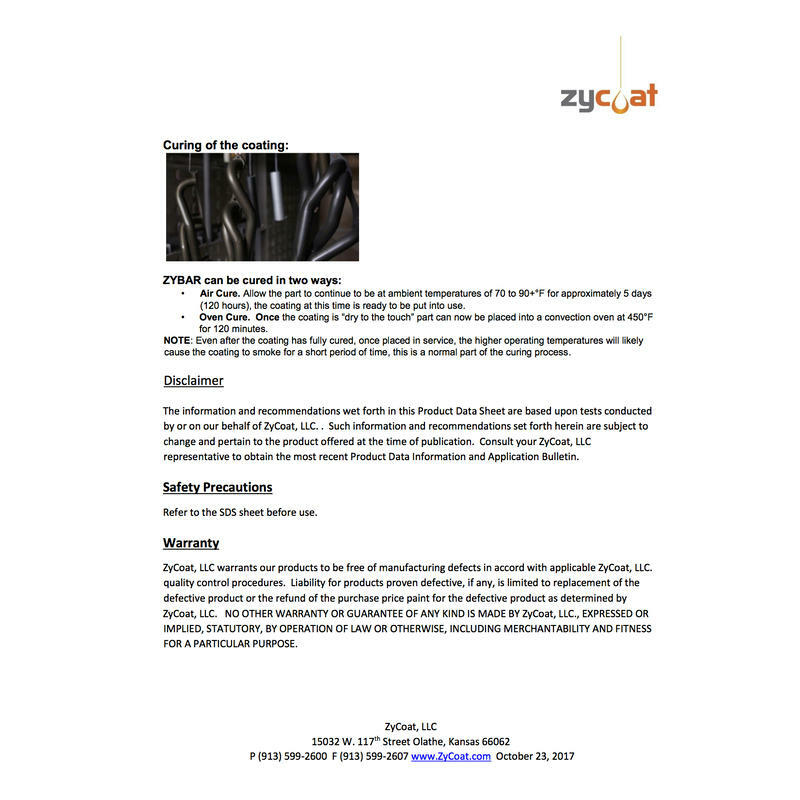 By greatly reducing heat, ZyBar improves scavenging performance to boost torque and increase horsepower. 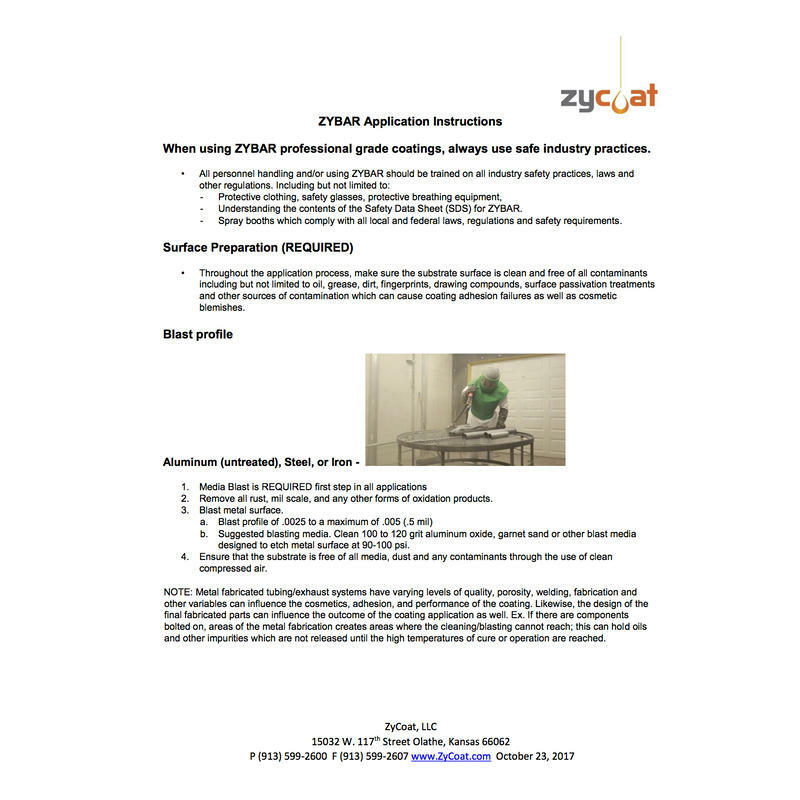 Utilizing advanced, micro surface technology, even a very thin .001 to .0012 mil coating of ZyBar outperforms conventional tapes, wraps, and ceramic or powder coatings. 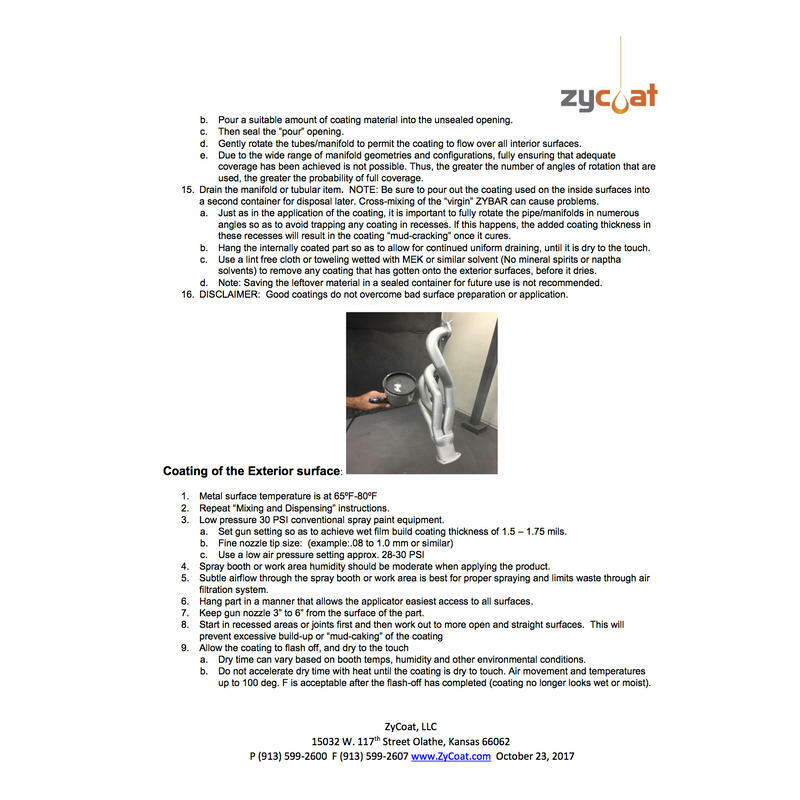 ZyBar is the only high performance, high temperature do it yourself applied coating in the industry.